The third meeting of the Offa’s Dyke Collaboratory was co-hosted by the ODA at the Offa’s Dyke Centre. The 23rd March event brought together thirty delegates, altogether a new audience to the Centre, including two people who travelled all the way from from the Republic of Ireland. Eight speakers discussed the heritage conservation, management and interpretation of Offa’s Dyke, Wat’s Dyke and other linear earthworks of the Welsh Marches. 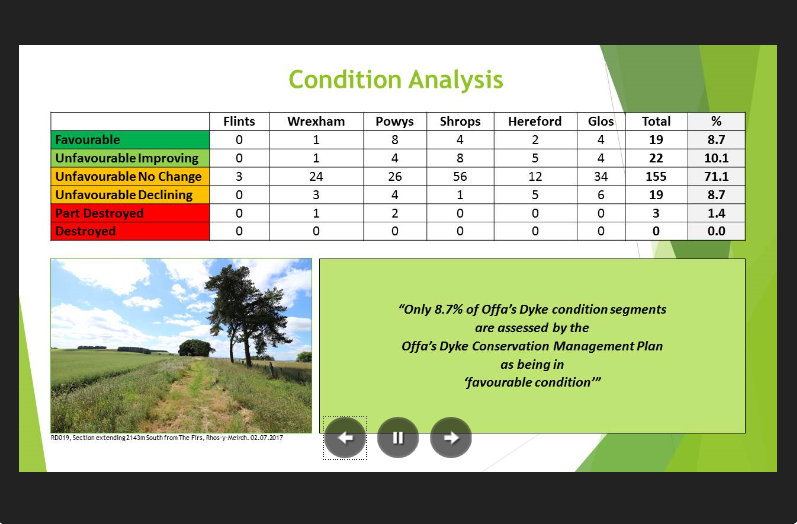 For a full account of the day, including the actual presentations, visit the Offa’s Dyke Collaboratory website. We hope that everyone enjoyed the day and found the content stimulating. Note that anyone can join the Collaboratory, at nil cost. ← Frank Noble book for sale!